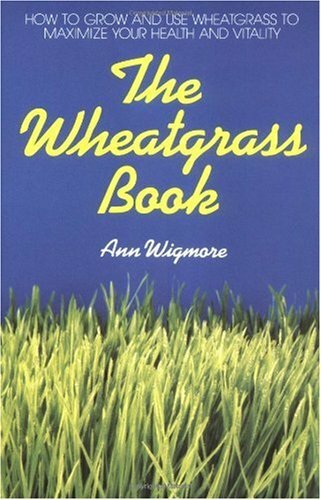 The Wheatgrass Book is written by Ann Wigmore - the woman who introduced wheatgrass juice to America 30 years ago. Ann’s book contains a wealth of information on wheatgrass - from its nutrient properties to ways of easily growing it for the home juicer. Chapters include: green power from wheatgrass, how wheatgrass chlorophyll works, super nutrition from wheatgrass, how to grow and juice wheatgrass and the many uses of wheatgrass. This is a must for the person serious about incorporating wheatgrass into his or her health regimen. Softcover, 126 pages.